Today’s post is a guest contribution that provides an interesting perspective on website testing from businesses that generate advertising revenue. Remember that scene from the Matrix? Cypher and Agent Smith are having dinner at a restaurant. A fine steak is followed up by an expensive cigar, and Cypher tells Agent Smith that “ignorance is bliss.” He then continues to give up Morpheus and asks to be reinserted into the Matrix as a rich and famous actor. What does this have to do with ad blockers? Well, until recently, online publishers were like Cypher. They did not question how they were making money. They weren’t looking to innovate or challenge industry norms. Every website with a semi-decent amount of traffic could simply place a few ads on the page, recline back as the money rolled in, and that was good enough. Words such as attribution, banner blindness, user experience, and tracking were not in their vocabulary. Advertising revenues were good and the bosses upstairs and downtown were happy. Ignorance was bliss. Fast forward ahead and the result of this strategy is clear. Content consumers are unhappy with their online experience. In fact, even before there were ad blockers, people were blocking ads by ignoring them. A recent study by Adotas reports 86% of web visitors are blind to banner ads. But instead of trying to understand the cause and provide a strategy to beat banner blindness and improve user experience, publishers added pop-ups, pop-unders, and interstitial ads. User experience was ignored and content consumers reacted with ad blockers. 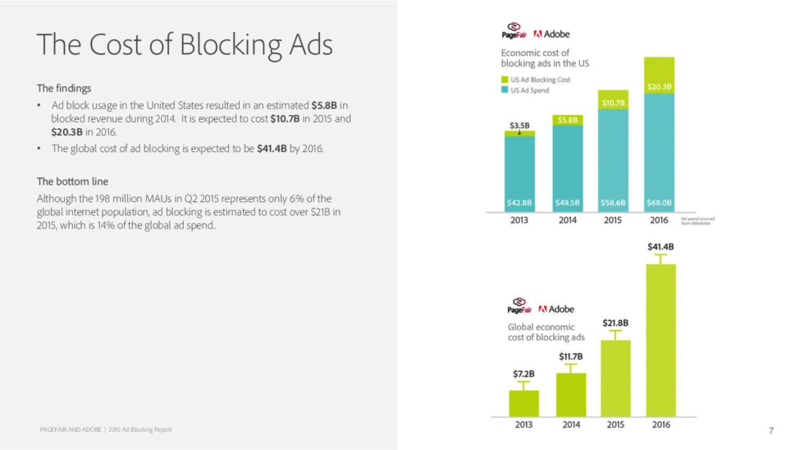 2015 has seen a 41% growth in ad blocker usage. 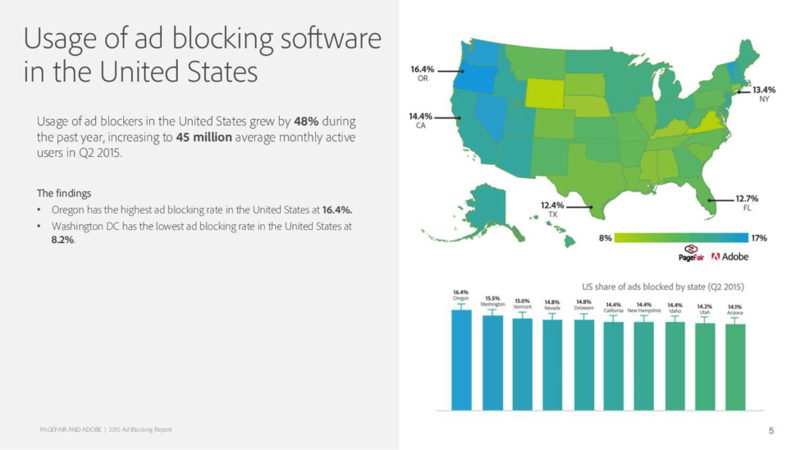 In the United States alone, 16% of online users activated ad blockers during Q2 of 2015, which translates to 45 million people actively blocking ads. With such a large proportion of the population using ad blockers it is not surprising that ad revenues have decreased. In the United States alone, it is estimated that ad blockers will be responsible for a loss of over $10 billion in annual ad revenues by the end of 2015. Ad blockers are not going away and publishers need to step up and stop burying their heads in the sand. Unlike Cypher, they cannot turn back time and go back to the good ol’ days. For success in the time of ad blockers, publishers need be like Neo: smart, curious, adaptive, out-of-the-box thinkers, with a true desire to make their environment a better place for everyone. And just like Neo, the journey must start by first understanding how deep the rabbit hole actually goes. Before Neo was “The One”, he was plain old “Mr. Anderson”. Mr. Anderson was just another small screw in the big machine, living the 9 to 5 grind. He became “The One” by learning what the Matrix is and then learning how to control and manipulate it. Online publishers who want to continue to be relevant must learn these skills by first understanding what web visitors are trying to tell them, and then using it to both of their advantages. Unfortunately for you, in the real world, we can’t upload your training via a socket located in the back of your head. Instead you’re going to have to read. Neo did not transition into The One on his own. He got there with the help of his crew and with the guidance of those more experienced with the inner workings of The Matrix. The Oracle has the power of foresight and guides Neo through The Matrix. She is powerful, yet mysterious. You’ve probably heard of A/B testing but, for most, bandit tests are still just as mysterious. 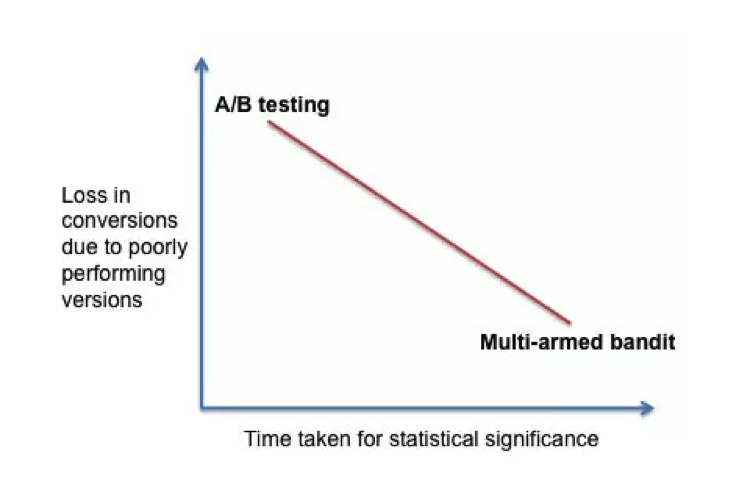 Bandit tests are similar but different from A/B tests. For instance, let’s say you decided to create two versions of your homepage, one control and one variation. Normal A/B tests usually split traffic equally between the versions. You then wait to achieve statistical significance to choose the best performing version. Bandits, on the other hand, work on two phases but are actually much faster. In the first phase, called the exploration phase, a small proportion of the traffic receives all versions equally. This allows the multi-arm bandit algorithm to choose the best performing version quickly. In the second phase, called the exploitation phase, most of the traffic will receive the version that performed better in stage 1. The second version will still be allocated a small proportion of the traffic just to make sure the conclusions from stage 1 were correct. Bandit tests are popular when testing elements directly related to conversions because they display the better performing version quickly and prevent losing too many conversions or clicks in the case of advertising. Bandit tests are very effective when testing banner ads. There are bandit testing platforms specifically dedicated to testing banner sizes, location, color palette, mobile vs. desktop, and many other parameters. When every impression equals money, using bandit tests can save publishers a lot of it. Despite this very simple logic, few webmasters test their banner ads, and even fewer use bandit testing platforms to do it. A basic banner testing platform, like the one provided by Google AdSense, provides ad location, sizes, and color palette testing for ad network banners. 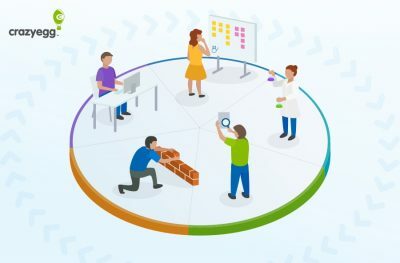 However, more advanced solutions provide a holistic approach and robust features like multiple variation testing, desktop vs. mobile, multi-page tests, excluding pages from testing, video ad testing, testing native ads, testing across different browsers, and providing predictive analysis. Similarly to content optimization platforms, like Optimizely, you need to create page layout variations and, on a trial and error basis, find the layout that produces the best results. Version 1: Two ad units placed on the left side vertical, one ad unit placed on the right side vertical, color palette matched with the homepage, and different sized ads rotated within each ad unit. 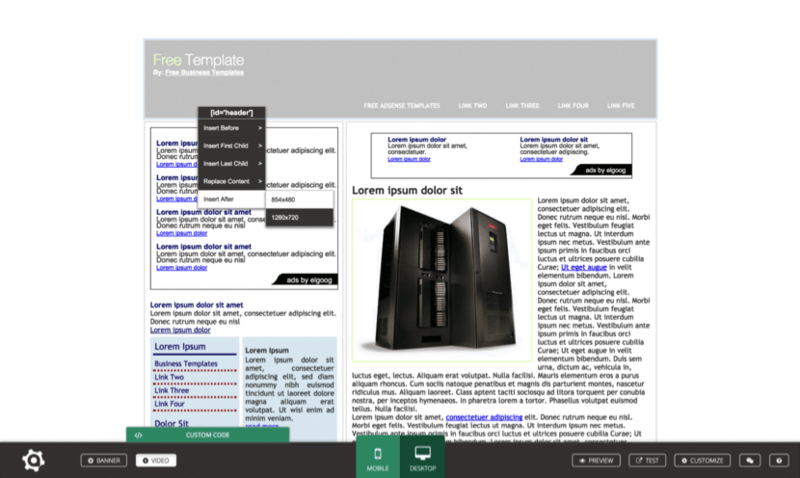 Version 2: One ad unit placed on the left side vertical, two ad units placed on the right side vertical, color palette matched with the homepage, and different sized ads rotated within each ad unit. 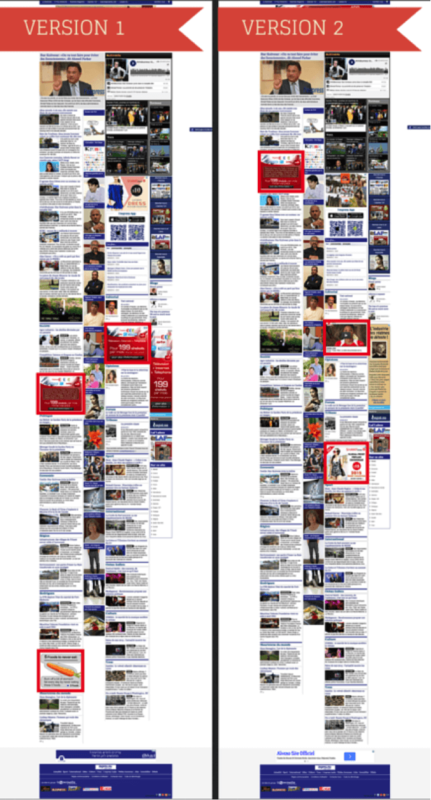 Each ad unit rotated between 300×250 ads and 300×600 ads. Version 2 was the winning variation with a 49% higher CTR (click-through rate) than version 1 (Read the full case study). The future for blogs, magazines, social networks, forums, and content aggregators is going to be a challenging one. But if you adopt bandit testing, you may be able to quickly increase your ad revenue and become The One. The second step is accomplished using heat maps. Neo had help from Trinity and the rest of his crew and heat maps are a great addition. 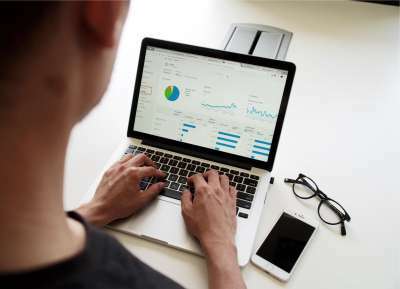 They are battle hardened, used by tens of thousands of websites to improve engagement and conversion metrics, and are extremely easy to use and understand. Neo had Tank. Tank was born outside the Matrix, which allowed him to act as an observer. He watches the others while they are in the Matrix, understands their actions, and provide insight to future decisions. Heat maps are very similar in their function. They provide insight into the actions performed and preferred by web visitors. 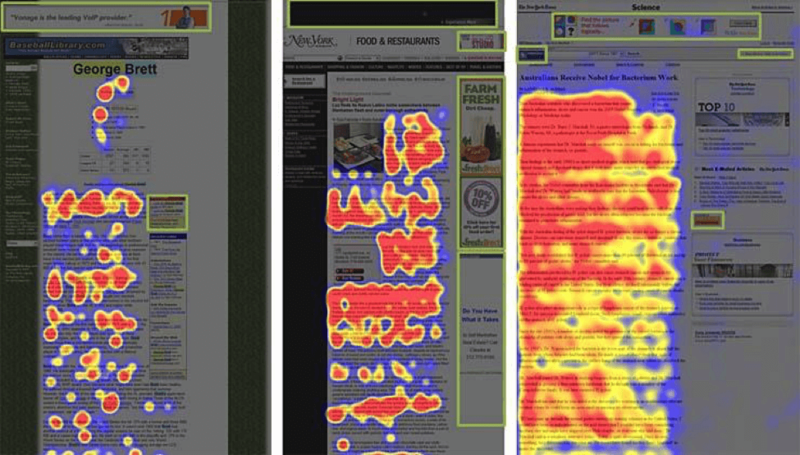 Heat maps register user engagement with content. Increased engagement is represented by warmer colors. Where there’s no engagement, there will be no warm colored heat signature. For instance, have a look at the image below from a case study provided by Pronto (read the full case study). Examining the image above, it’s very easy to understand where visitors are more engaged with the content. This valuable information can be used to make decisions like where to place CTA buttons or banner ads. The example above demonstrates this perfectly. In these web pages, readers have learned to expect content to appear in the center column and advertising to appear on the sides. The heat signatures from the screenshot above provide us with a hypothesis: Readers are blind to anything that appears on the side and top of the page. They expect the content they are interested in to appear in the center of the page, and their eyes and mouse cursors are drawn to it. To test that hypothesis, we use our bandit testing platform to create a variation of the original page with a banner placed in the central content column of the page. Then the bandit algorithm will calculate the best performing version and display that one to web visitors. Over time, users will learn to expect the new banner location and heat maps can tell us which new location to try next. What we learned from the Matrix is that knowledge can be frightening. You may not like what you learn. But knowledge is powerful, especially if used correctly. For Neo to beat the Matrix he first needed to understand its inner workings and manipulate the data to his advantage. After all, the matrix is just a computer program. For publishers to effectively fight ad blockers they must listen to what their users are trying to tell them. More advertising is not the solution. Punishing users who ad block is not effective either. Publishers need to use the data that users provide to deliver the least amount of advertising with the highest click-through-rates. This simple formula will provide long-term ad revenue for publishers, a superior user experience for content consumers, and returned balance to the Matrix. About the Author: Eyal Katz is the head of Marketing Operations at AdNgin. AdNgin is a multi-arm bandit testing platform that helps publishers optimize their monetization channels. Before coming to AdNgin, I was a marketing professional focused on SAAS business models. When I’m not working, which is rare, I sail and hang out with my son, Jonathan, and wife, Meital.